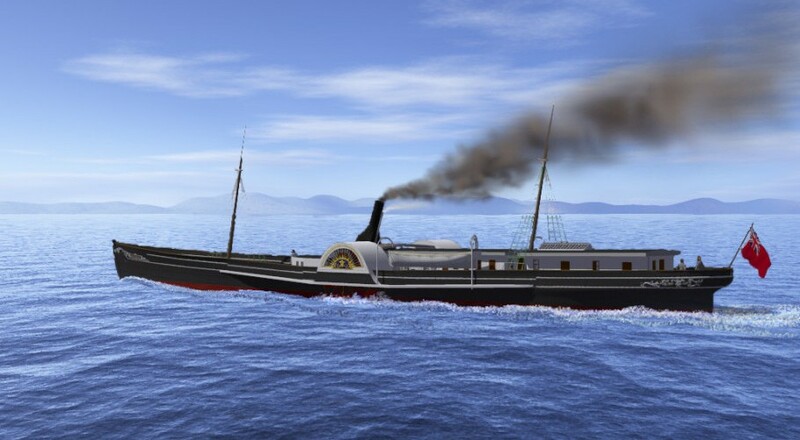 Denbigh was an extremely fast paddle steamer built at the famous John Laird, Sons & Co. near Liverpool, England. She ran trade there for three years before being purchased by the European Trading Company in partnership with a Confederate trading company operating out of Mobile, Alabama, who planned to run her between the neutral Spanish port of Havana and Mobile in response to the Union blockade of southern ports. At this time, Denbigh came to attention of Thomas Dudley, the U.S. consul at Liverpool who was on the watch for ships being converted to blockade runners or Confederate warships. His detailed notes describing Denbigh that were forwarded to the U.S. State Department, and other archival material, have been indispensable resources for piecing together this bit of history. Denbigh was destroyed by Union vessels aground off Galveston, TX, in May of 1865 after blockade-running successfully for two years. In 1998, the Denbigh project initiated a side-scan sonar survey of the wreck site to determine the extent of the wreck extending above the sand. A subsequent diving survey commenced about a month afterwards, and produced profile drawings of the paddlewheels. Then, Denbigh project Principal Investigator Arnold arranged for a sub-bottom sonar profile to be conducted at the wreck site. The sub-bottom profiling sonar, known as a “chirp” sonar for the high-pitched clicking sound of its transmitter, penetrated the mud to a depth of about two meters, and recorded indications of buried ship remains. Alternating various surveys with diving trips and eventually two field seasons, the Denbigh team slowly mapped and recorded the wreck. 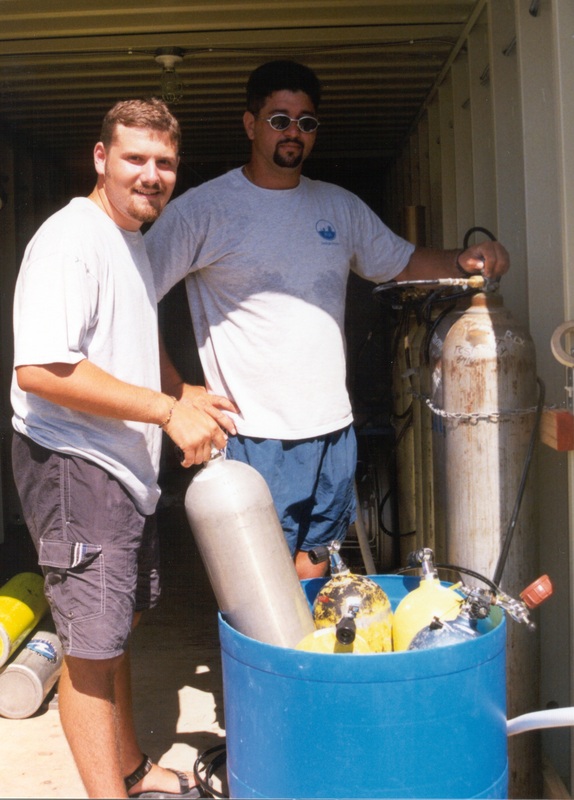 A few artifacts related to the ship’s hardware were pulled up during these excursions. 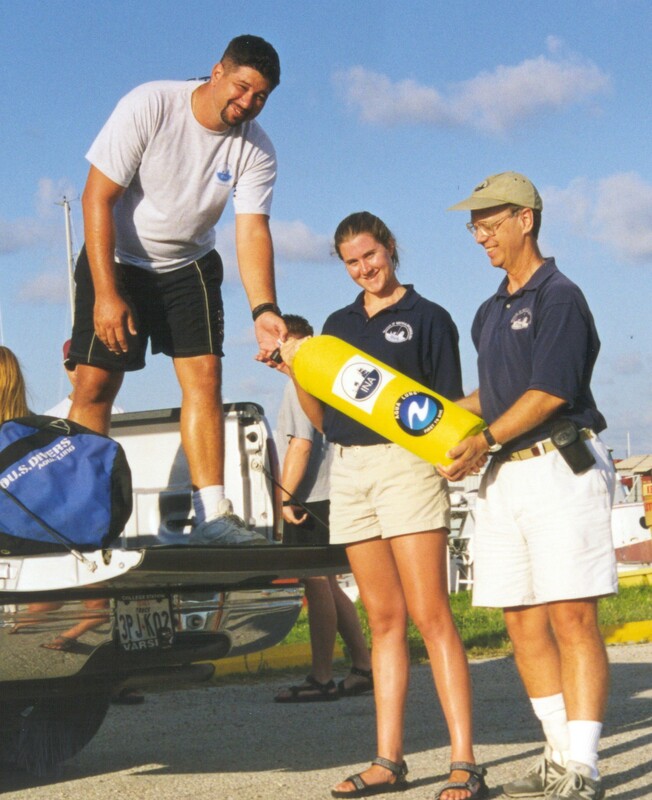 By combining historical evidence with field work, the Denbigh project team was able to analyze the wreck using computer modeling techniques by assembling a detailed, three-dimensional recreation of the blockade runner. Digital modeling allows investigators better to understand how the different parts of the ship worked together, how machinery might have been arranged, to orient divers to the site, and so on. Although digital modeling is time-consuming, it allows changes to be made quickly as new information becomes available. Arnold, J. B., T. J. Oertling, and A.W. Hall. 1999. “The Denbigh Project: Initial observations on a Civil War Blockade‐Runner and its Wreck‐Site.” International Journal of Nautical Archaeology 28:126-144. Arnold, J. B. 2011. The Denbigh‘s Civilian Imports: Customs Records of a Civil War Blockade Runner Between Mobile and Havana. Institute of Nautical Archaeology, Texas A&M University. Watson, W. 2001. The Civil War Adventures of a Blockade Runner. Texas A&M University Press. Nichols, J. 2006. The Confederate Quartermaster in the Trans-Mississippi: The Blockade Runner’s Texas Connection. Clinton Corners, N.Y.: Percheron Press. Watson, W., J. Nichols, W. Block, & C. Davis. The Civil War Adventures of a Blockade Runner. Introduced by J. Barto Arnold III. 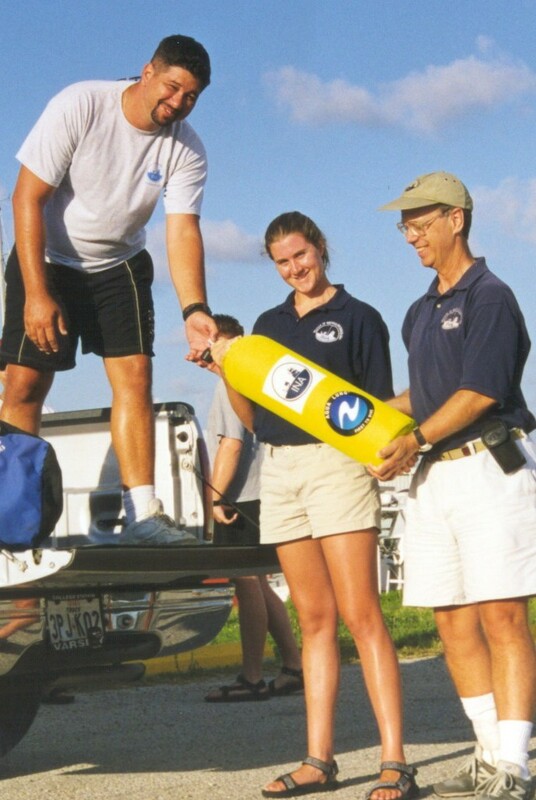 ABOVE: Mark Feulner, Ashley Porter and Barto Arnold unload scuba tanks to prepare for a dive (Left Photo: INA). 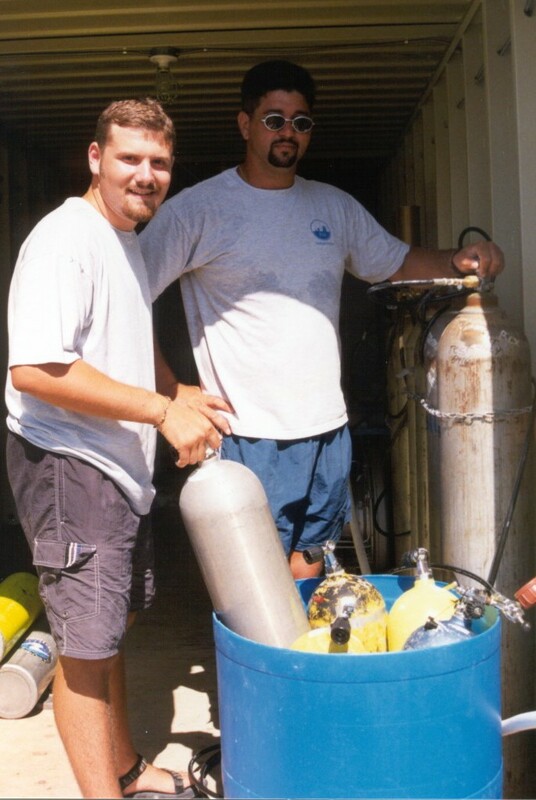 Chris DeCillo and Mark Feulner filling tanks after a dive (Right Photo: INA).